BANGI, November 3, 2018 – Tan Sri Abdul Wahid Omar was appointed as a Chairman of the Board of Directors (LPU) of Universiti Kebangsaan Malaysia (UKM) from 1 November 2018, replacing Tan Sri Datuk Seri Dr. Ibrahim Saad. He is one of the most versatile corporate leaders in Malaysia having led four major organizations in the development of infrastructure, telecommunications, financial services and investment management. Vice-Chancellor, Prof. Tan Sri Dato’ Seri Dr. Noor Azlan Ghazali said, UKM was proud with the appointment of Tan Sri Abdul Wahid as the Chairman of the UKM Board of Directors. “All people in UKM will give the best cooperation to the new LPU leadership” he said. Tan Sri Abdul Wahid said he feels honoured and pleased to receive the appointment. “This golden opportunity fulfils my dreams to contribute in education, leadership and human resource development. I will try my best for UKM and the country,” he added. Tan Sri Abdul Wahid Omar recently retired as Group Chairman of PNB Group, the largest fund management company in Malaysia. He also acts as Senator and Minister in the Prime Minister’s Department responsible for Economic Planning in June 2013. 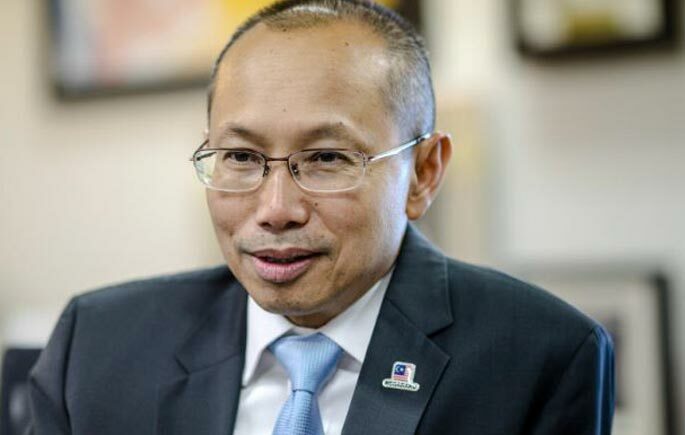 Tan Sri Abdul Wahid has served Maybank, Malaysia’s largest public-listed bank, also known as one of the leading banking groups in Southeast Asia when he was appointed as the President and Chief Executive Officer (CEO) in May 2008. Prior to joining Maybank, he was the Group CEO of Telekom Malaysia Berhad from July 2004 until his isolation with Axiata Group Berhad in April 2008. He also held the position of Managing Director / CEO of UEM Group Berhad and Executive Vice Chairman of PLUS Expressways Berhad and Chairman Association of Banks in Malaysia. Tan Sri Abdul Wahid Omar is a Fellow of the Association of Chartered Certified Accountants (ACCA, UK) as well a member of the Institute of Chartered Accountants in England & Wales (ICAEW) and the Malaysian Institute of Accountants (MIA).